Media freedom in Taiwan is again under attack by political forces from mainland China, resulting in a sudden decision by Radio Taiwan International (RTI) to dismantle two of its substations. Among RTI’s customers who will lose their contracts are Sound of Hope Radio and Radio Free Asia, which have played an important role in broadcasting uncensored news to the mainland. 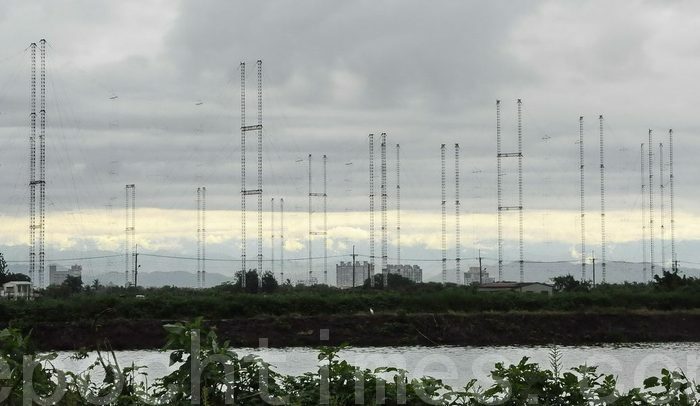 Earlier this month, RTI’s largest customer, Sound of Hope Radio (SOH), received a notice that the Huwei substation in Yunlin County will be dismantled beginning June 1. The eight radio antennas pointing towards China will be removed ahead of schedule, and the broadcasting business will also stop at the end of May. Tainan, another RTI substation in Tianma, will also be dismantled in a few months’ time, according to an insider. This has caused great concern at SOH headquarters in California. SOH has worked with RTI for over nine years, utilizing RTI’s shortwave spectrum to broadcast independent news programs from the West into mainland China. According to insider information, RTI high-level executives visited mainland China at the end of February. Soon after, RTI announced its intention to take down the two substations. Following the removal of the substations, RTI will terminate all its rebroadcasting customers and also stop its own shortwave broadcasting, and develop a mobile platform and Internet broadcasting instead, the insider said. Zeng (Allen) Yong, President of SOH, told The Epoch Times he had rushed to Taiwan as he was very concerned about RTI’s move to terminate its main customers in the name of consolidating substations and eventually ending shortwave broadcasting into China–a matter of great concern to the Communist Party, which censors media in the mainland. SOH has been doing business with RTI since 2004. At the end of 2009, due to pressure from the Party, RTI wanted to reduce SOH’s time slots by 50 percent. This move attracted the concern of the European Parliament and the U.S. Congress; a number of Congressmen publicly spoke out on the matter, and the Taiwanese government then stepped in. Taiwanese media also began reporting the news, and the cutback plan was quietly withdrawn. Zeng appealed to Taiwan’s President Ma Ying-jeou to pay attention to the matter, saying SOH Radio, Free Asia Radio, and others have played a positive role in broadcasting free information to mainlanders. RTI’s plan to dismantle its substations looks like “some black box operation,” using shortwave radio as a bargaining chip in exchange for political interests on the other side of strait. Translation by John Wang. Written in English by Gisela Sommer. The first case of H7N9 bird flu outside of mainland China has been reported in Taiwan.